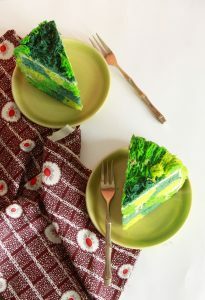 Get into the groove of the Spring and Saint Patrick’s Day season with this Groovy Green Cake. The cake is a checkerboard patterned tender vanilla cake and filled with a fancy brie cheese filling. Decorated in shades of citron, kelly green, forrest green, and avocado make for a compelling menagerie of green! 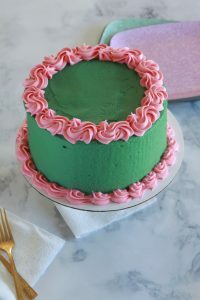 This Cupid Cake is a retro remake! A tender white cake has a classic buttercream frosting. 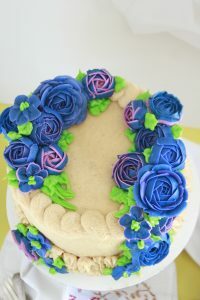 Where this cake shines is in the details. 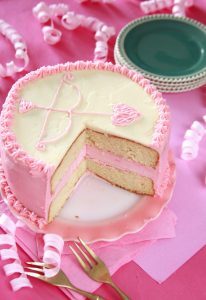 Decorated in pink and white, the top is adorned with Cupid’s arrow for the perfect Valentine treat! 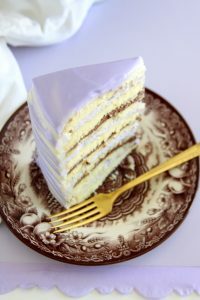 This Gold Standard Yellow Cake is the dessert of epic stories and long standing Americana tradition. A tight crumb is soft yet strong even for layering and stacking. 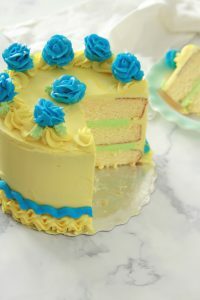 A classic American Buttercream ties the cake together with a smooth, not painfully sweet, taste. Start 2017 like it’s 1997 with this Fruity Pebbles Funfetti Cake! The cake is airy, soaked in creamy milk, and spotted with colorful cereal. It’s filling and frosting and satiny smooth. 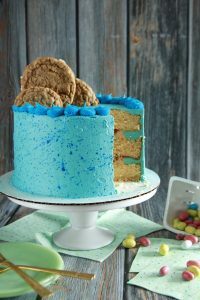 This cake is full of milk and cereal goodness! 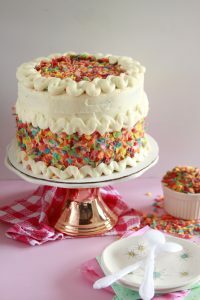 Rainbow Chip Funfetti Layer Cake! 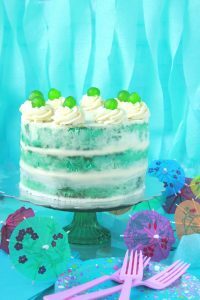 1980s Rainbow Chip frosting and 1990s Funfetti cake fuse into this sprinkle injected cake. 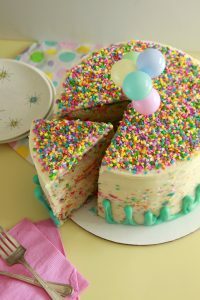 Colorful jimmies freckle the perfect white cake, while Rainbow Chip frosting gets elevated with homemade rainbow chips. To finish off a perfect sprinkle experience, the Rainbow Chip Funfetti Layer Cake gets topped with confetti sprinkles.